Trial outlines revisited: Don't go to trial without them | Jon Katz, P.C. As I have previously discussed, trial outlines, flowcharts, and idea books are critical in a trial lawyer’s arsenal. Take, for example, Virginia’s disorderly conduct statute, found verbatim, at long length, and ad nauseum here, at Va. Code § 18.2-415. A trial lawyer’s job is to be willing to let the stomach turn while trying to find the road to victory, including reading ad nauseum statutes. In that regard, by carefully sifting out the elements of disorderly conduct in Virginia, one finds buried in the middle of the statute this gem: "However, the conduct prohibited under subdivision A, B or C of this section shall not be deemed to include … conduct otherwise made punishable under this title." In other words, Virginia’s disorderly conduct statute does not cover conduct that is criminalized by other parts of Virginia’s criminal code and for which a reasonable juror could convict. Battle v. Com., ___ Va. App. __ (July 24, 2007). In the above-discussed regard, Virginia’s intermediate appellate court reversed a disorderly conduct conviction, seeing that the defendant’s alleged actions of striking another person fell squarely within Virginia’s assault statute, which is Va. Code § 18.2-57. Battle v. Com., ___ Va. App. __. Also, Defendant Battle’s alleged failure to obey a police officer’s order to stop obstructing the free passage of others on the sidewalk fell squarely within Va. Code § 18.2-57. The prosecutor, police or both made the mistake of only charging defendant Battle with disorderly conduct, rather than with assault, obstructing passage of others, or both. Now the prosecutor and police must live with their mistake. 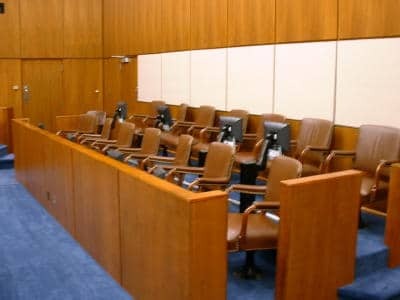 Although it might be more dramatic and thrilling to win a case with a jury acquittal, a criminal defendant gets more peace of mind by winning the case earlier than that, including through a motion to dismiss or for judgment of acquittal (called a motion to strike in Virginia) before the case ever gets to the jury room. Defendant Battle’s lawyer tried doing that, the trial judge denied the defense lawyer’s request, and victory finally came on appeal. Jon Katz.